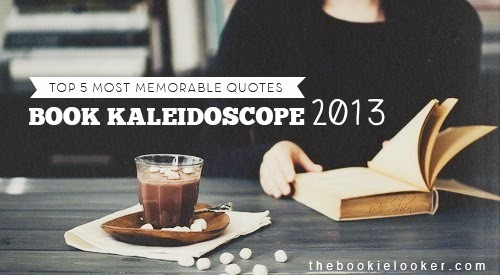 We have arrived on the second category of Book Kaleidoscope 2013; which is Top 5 Most Memorable Quotes from the books I've read this year. This one is pretty difficult for me to choose, because I love quotes - and I have more than 5 favorites! It took me quite a long time browsing through 2013's book reviews to see which quotes I love the most. 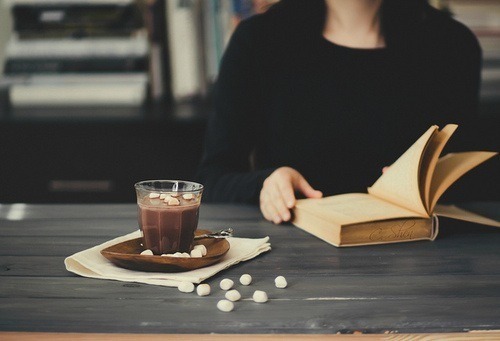 There are many different kinds of quotes; those that taught me something new, quotes that's very emotional, and many more. So here's my list of top 5 most memorable quotes this year - in no particular order. "I had everything I could possibly want - yet I was failing to appreciate it. Bogged down in petty complaints and passing cries, weary of struggling with my own nature, I too often failed to comprehend the splendor of what I had. I didn't want to keep taking these days for granted. The words of the writer Colette had haunted me for years: "What a wonderful life I've had! I only wish I'd realized it sooner." "Free will can take us far, suggests Dr. Schwartz's research, but it cannot carry us infinitely beyond our genetic limits. Bill Gates is never going to be Bill Clinton, no matter how he polishes his social skills, and Bill Clinton can never be Bill Gates, no matter how much time he spends alone with a computer. We might call this the 'rubber band theory' of personality. We are like rubber bands at rest. We are elastic and can stretch ourselves, but only so much." 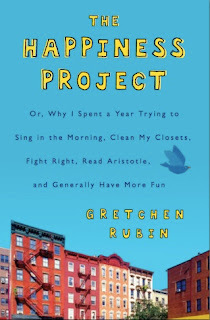 Actually I had so many memorable quotes from this book, but I decided to put this one on the list. 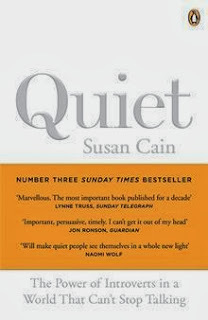 Quiet is a book about introverts, and explained the power of being one. This quote made me realize that people has a limit in changing their personality. Even though I desperately want to be an extrovert, I can't - and what I have to do is be satisfied with who I am and do the best I can with it. "And religion - whether you believe in God or Yahweh or Allah or something else, odds are that at heart you want the same things. For whatever reason, we like to focus on the 2 percent that's different, and most of the conflict in the world comes from that." The quote I chose from this book has no relation whatsoever to the main plot. It's just a part of A's thought - as a soul who experienced many religious services. Strangely, religion often becomes a conflict in our daily lives; and this quote made me realize that there's actually no reason for that conflict to happen. People like to focus on the difference, even though in truth, their similarities are a lot more than that. "They don't kill you unless you light them,... And I've never lit one. It's a metaphor, see: You put the killing thing right between your teeth, but you don't give it the power to do its killing." This is my most memorable quote from The Fault in Our Stars; the best line from Augustus Waters. 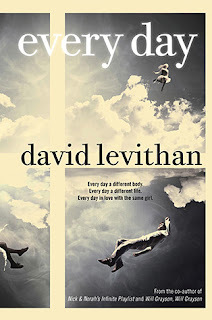 For those who haven't read this book yet, this quote talks about cigarette - because Augustus likes to hold it or dangle it from his mouth but never lights one. The idea of having that power is a very strong thought from a boy who had suffered from severe disease. This quote made me instantly fell in love with Augustus. I also had many favorite quotes from this book, but I finally decided on this one. 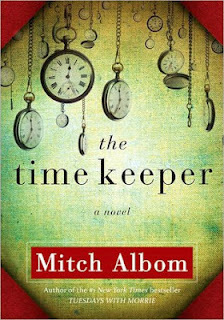 It is one of my favorite books because The Time Keeper made me think about time. I often took time for granted, because it's always there and we don't have to work hard to earn it. But this book (and this quote) taught me the value of time. See you on the next category ! Whoa, all quotes you chose are wonderful. 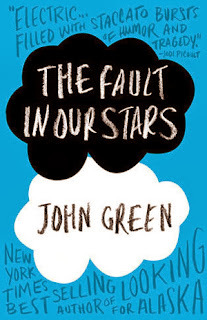 the fault in our stars dipenuhi sama quotes-quotes bagus ya kak.